Our office provides specialized dentistry for children and adolescents in a warm, caring and "child-friendly" environment. As pediatric dentists, our 2-3 years of additional training after dental school has prepared us for the unique dental needs of each child we serve. We focus on preventive care to help each child grow a healthy smile that will last a lifetime. Our office serves infants, children, teens and children with special health care needs in Somers, NY including the surrounding cities of Katonah, Mahopac and Yorktown, NY. 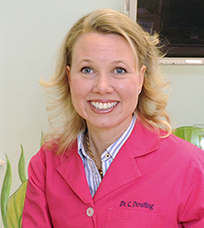 Dr. Christine Dowling specializes in Pediatric Dentistry, and began her professional career in 2005. 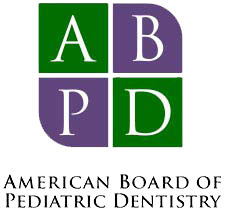 Dr. Dowling is a member of the American Academy of Pediatric Dentistry, the American Dental Academy, the American Academy of Women Dentists, and a Diplomate of the American Board of Pediatric Dentistry. "Our daughter is enthusiastic about visiting with Dr. Dowling every six months. She is proud to show off her new, growing teeth and always feels extra special when she leaves the office. We really feel so fortunate to have her as our pediatric dentist!" "Changing dentists can be very daunting when you move. We are fortunate to have been referred to Dr. Dowling. Dr. Dowling is professional, personable and friendly, as is her staff, as well as helpful. The atmosphere of the office and treatment rooms was very comfortable. My son is very happy with his new dentist. (Mom breathes a "sigh"of relief)."